Good morning. Been lurking for awhile. Former Freightliner Sprinter mechanic. 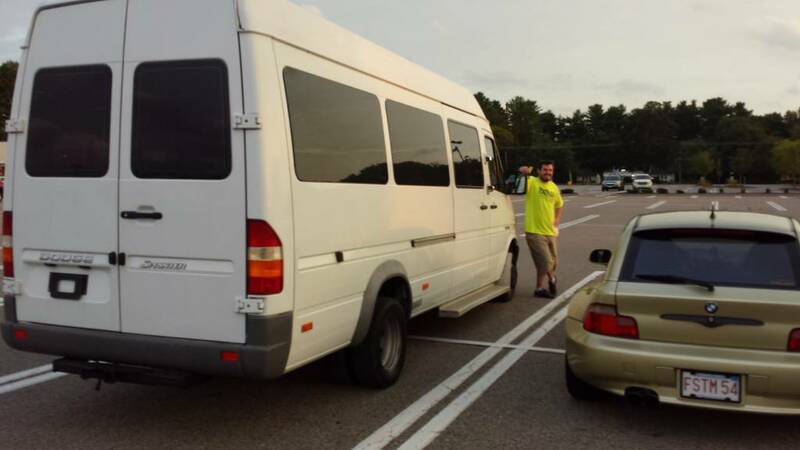 I purchased my Sprinter in '14 and am starting to get stuff together for conversion. I've seen many amazing setups so am trying to figure this all out. Solar. Definitely off grid power. However, in the meantime (have to buy stuff here and there so can't go all in unfortunately) wondering if can wire up for shore power and eventually integrate solar... assuming having both are possible? For exterior i want to avoid drilling roof as much as possible so if solar done considering no drill panel mounts (realize will need the entry gland and drilled holes for cables). Looking at the Renogy 100w slim panels (46.9x19.7") so not sure if i will have the room to mount lets say (4) panels with those no drill mounts with space to spare for roof fan & potential a/c... maybe a roof rack worth considering? Also, rather than spend $250+ for a ladder, thinking of using the folding down steps which i already own. For kitchen ideally want induction cooktop & MAYBE convection microwave, no gas. Already own 12" deep cabinets but will need to be modified to fit. I just purchased a new in box Vitrifrigo DP2600 ac/dc fridge for $800 & while it's a "behemoth" by van standards, i couldn't pass it up at that price. Would like a sink & shower setup but don't necessarily need that inside van, so maybe electric water pump & heat. Have a Thetford Curve toilet with the floor mounting plate. For comfort & entertaining, i have a Maxxair 7000k deluxe. I think that may help tremendously with the humid New England summers and moving all that stagnant air but being an '02, i have factory rear a/c under van so running that with vehicle off is out of the question as its tied into front a/c. Already have dynamat & reflectix. Low on the wish list might be a Coleman Mach 8 type unit (unsure if this can heat also?) I want to have a ceiling mounted flip down TV viewable from bed somehow integrated with vehicle audio system. Ability to charge mult. devices a must. Also led lighting, preferably dimmable. For bed, i would like to have a removeable platform setup, maybe a tri fold full or queen. Would like to be able to walk from front to back of van and be able to utilize as utility if needed with bed out. I dont want to sound like im biting off more than I can chew, i dont expect to do all this at once. i know theres a plethora of resources out there so any info or suggestions tremendously appreciated. thank you! What type of Amps/Wattage is that fridge pulling? I think that alone would be a major factor and starting point in sizing your power requirements. As far as Holes in the roof, is there a way to come in through the fan wall in anyway, say in one of the corners without compromising functionality, I'm sure this would void any warranty. But going forward with my design I plan to make any holes multifunctional in order to minimize holes. (07-14-2018, 05:38 PM)ClassyGlobal Wrote: What type of Amps/Wattage is that fridge pulling? I think that alone would be a major factor and starting point in sizing your power requirements. I'm going to have a local vocational school repaint the van so i'd like to have everything that needs to be drilled & cut prior. As far as shore power i wouldn't necessarily mind having an outlet visible, but stealth is generally preferable for most. One other thing i forgot to mention is audio/entertainment upgrade. I wanted to replace front speakers & install rear, obviously get new head unit but also am going to install a tv. Assuming i'm streaming video from phone or a roku to TV, wondering if i can hook it up to van audio for "suround sound"? Big plans, i know... but thats why we're here right? As you know we like pictures. Folks will be looking for the shares!!! Awesome getting the Vocational School to work on the project for you!!!! I get all my dental work done at dental schools I'm looking for a VOC or Tech school in Richmond VA to get a WetBath installed under a stairwell for my recently disabled father. Still looking for a source there. Sounds like you have a great path ahead!! !